Topics explored in depth include triadic harmony in popular tune style, practical approaches to chord voicing, harmonic function, source scales & extensions, secondary dominants, modal borrowing, inside to outside scale choices, tritone substitution, the Blues, diminished seventh functions, polychords, slash-chords, the “Sound”, pentatonic voicings & source scales, pentatonic-shapes, altered pentatonics, Drop 2/3/2&4 voicings, passing chord harmony, quartal harmony, polarized passing-tone scales, diatonic/chromatic-approach tones, deflection, change-tones and numerous other melodic approaches to improvisation. 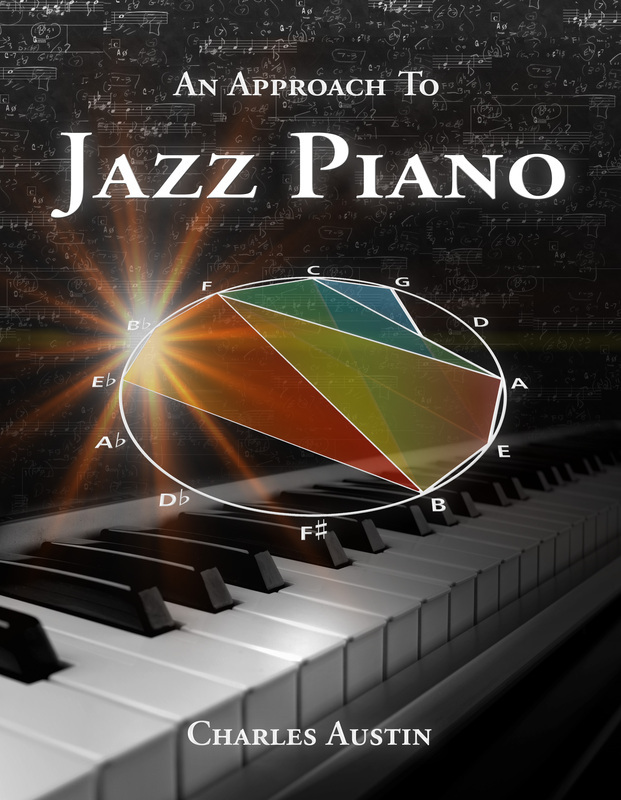 An Approach to Jazz Piano is a comprehensive approach for serious students of jazz piano. In this clearly written instructional text, Charles Austin draws on a lifetime of experience as a professional jazz pianist and thirty as a college instructor guiding hundreds of students in the fundamentals of jazz piano. Interspersed throughout with exercises and practice suggestions, the book is a complete guide to learning jazz piano and a comprehensive resource for professionals. Hal Galper — Grammy award winning pianist, composer, publisher, educator, author and touring artist. Author of Forward Motion and on the faculty of Purchase Conservatory and the New School of Jazz and Contemporary Music. Dr. Paul Schmeling — Jazz Piano Chair Emeritus, Berklee College of Music. Author of Berklee Music Theory Books 1 & 2, the Berklee Practice Method series. “...addresses most of the concepts jazz pianists need to know about, starting with the basics and moving up through advanced theory concepts. One thought that occurred to me over and over again while reading the book was `I’ve never thought of it that way before'..."
"I am an intermediate player who has been making a big push to get clear on the fundamentals of jazz harmony. A while back, I bought a bunch of books... None of them were giving me what I needed, which was a real overview... The book is excellent. If you are like me, an intermediate player with a lot of questions, this is the book to buy. I can’t speak for beginners or advanced players, or even piano players. But for intermediate guitarists, this book is great! There is a blurb for the book! Piano book, Intermediate guitarists love it! See what the publisher thinks of that!" "A must have for jazz pianists, as Mr. Austin is highly regarded as an educator. Essentially containing a lifetime of ground-breaking harmonic exploration by an exceptionally gifted pianist, 'Charlie's' approach is itself a gift to those wanting to discover - or re-discover - the almost limitless possibilities of jazz piano." "...it does succeed where many others fail... the information is invaluable to a beginning student of jazz piano as well as to seasoned professionals..."